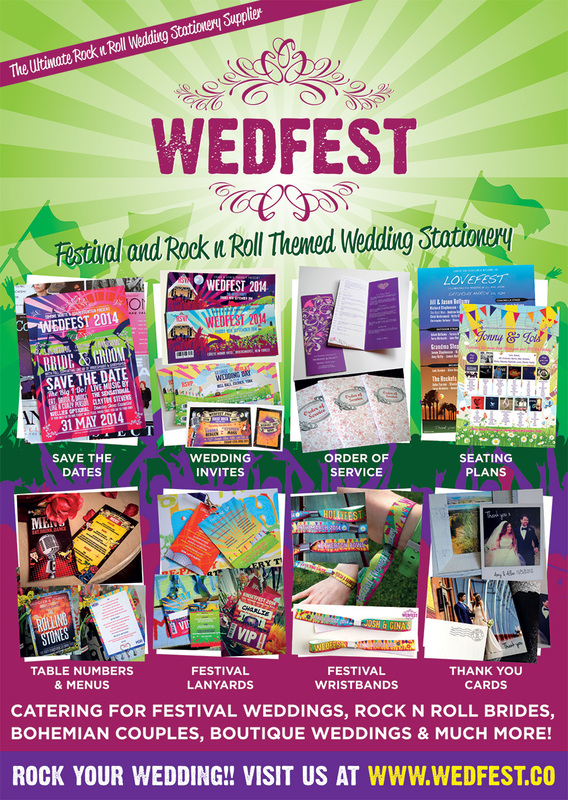 WEDFEST is a wedding stationery company run by designer Marty McColgan that specialises in festival and rock n’ roll themed wedding stationery. Catering for Festival Weddings, Rock n Roll weddings, Rockers Weddings, Bohemian Couples, Boutique Weddings and basically anyone looking for some alternative wedding stationery. It’s our absolute pleasure to be part of the magic of every wedding day we work on, and adding some alternative flavour for our brides and grooms is what sets us apart. If you’re looking for awesome wedding stationery that suits your unconventional style then check out our website and let the fun begin. We’ll see you at the altar! 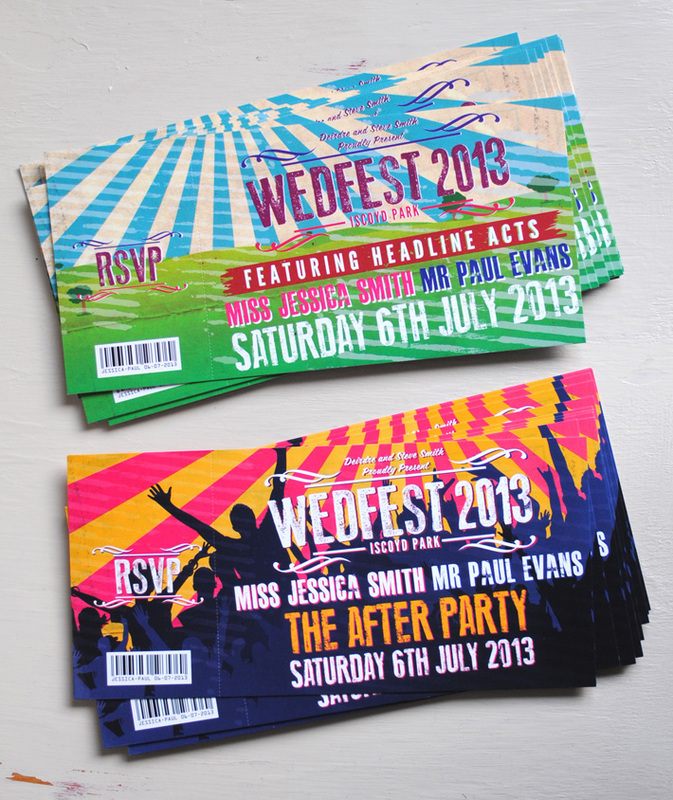 WEDFEST provides all types of wedding stationery. Customers can start off with wedding save the dates if needed or just dive straight into their wedding invitations of which there is many options, including the very popular concert ticket wedding invites, and festival poster themed wedding invitations. 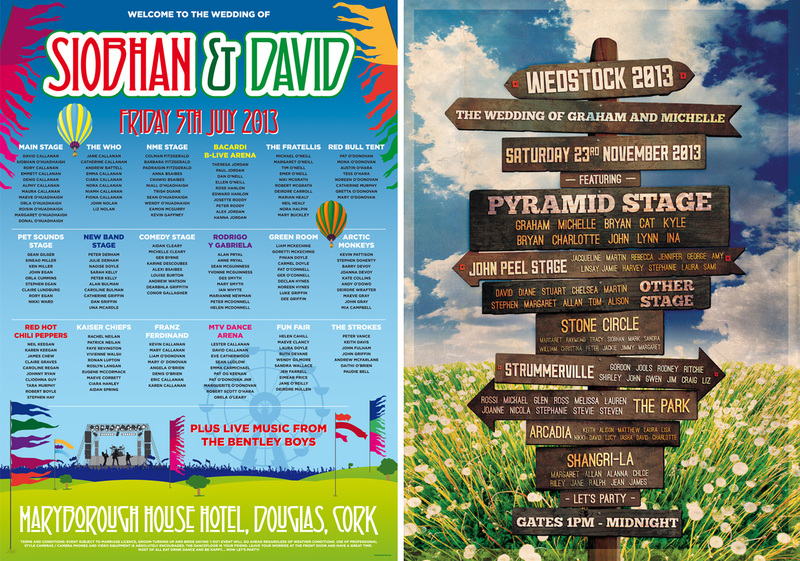 For the wedding day we provide awesome festival themed wedding table and seating plans for guests to find their seats and provide other information if required. 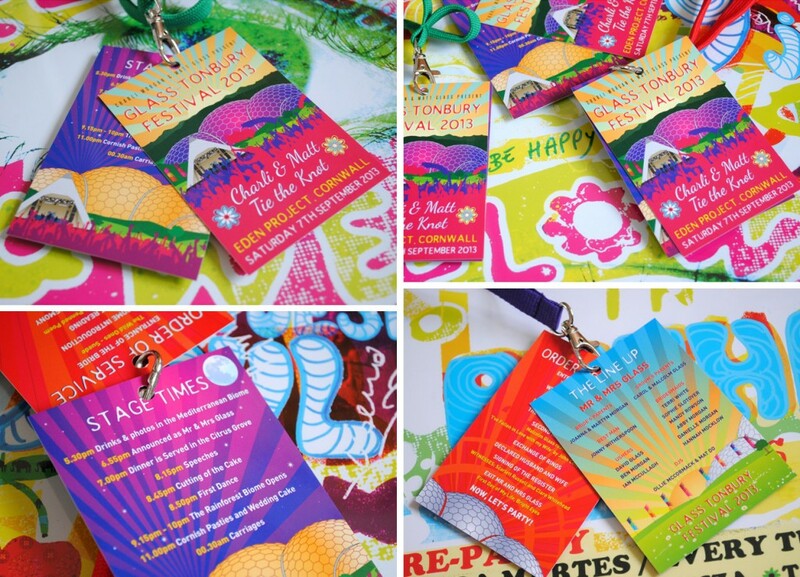 For those couples wishing to go all out we make amazing festival style wedding lanyards for the guests to wear throughout the day. These can contain all sorts of information such as wedding order of service details, wedding running times, bridal party details, maps, menus etc., the list is endless. 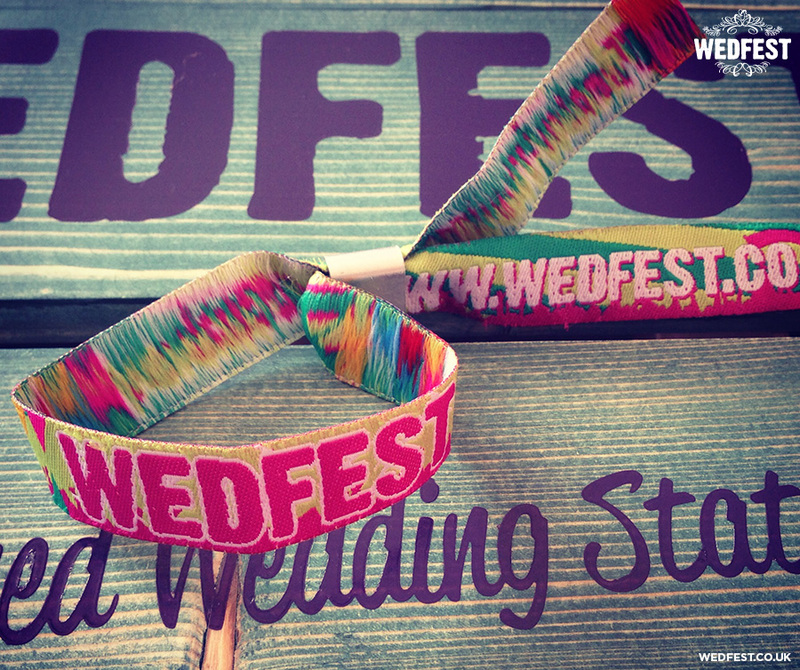 Further to this WEDFEST can also provide you with festival style wristbands for your wedding guests as well as wedding menus and any other stationery required. 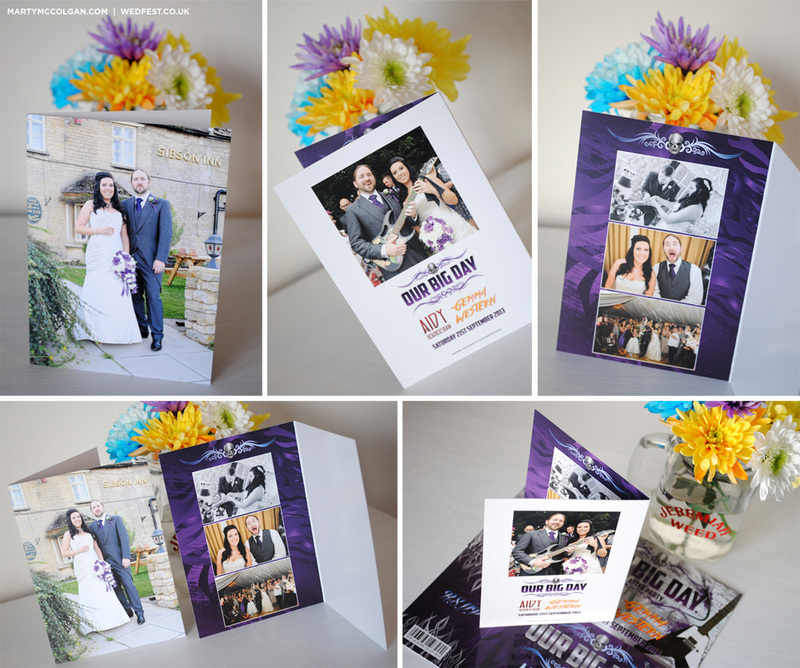 Once the wedding is all over we can also provide the couples with some awesome rock n’ roll wedding thank you cards. Customers can choose from one of the many existing designs and have it customised to suit themselves, or if they have a specific idea or theme in mind the wedding stationery can be specifically designed for them. I am very flexible and work closely with the couples to try and achieve exactly what your vision for your wedding stationery is. There is a lot of variations of sizes and styles of stationery available so each customer is quoted on an individual basis, please get in touch to get an personalised quotation for your wedding stationery needs.